Superbloom. The latest Marvel Comic character? A new plant food additive? 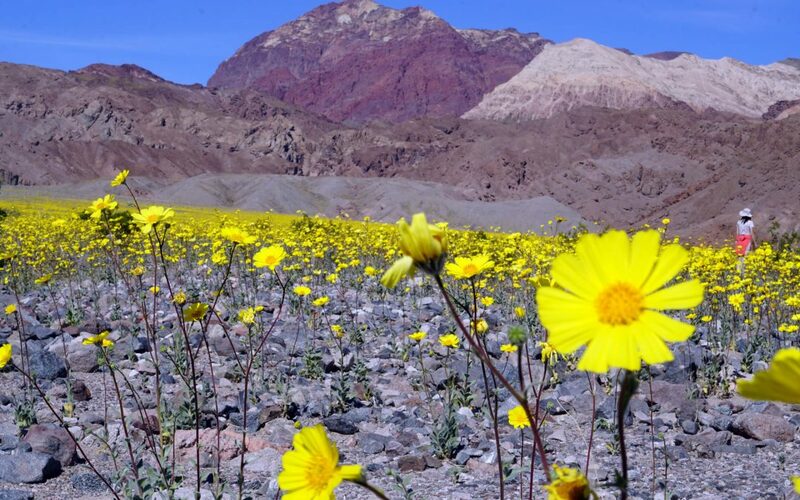 No, it’s the fabulous Death Valley wildflower phenomena brought to you by El Niño. It turns out the desert has a sweet spot. It’s just the right amount of rain, sunshine, and low winds to coax all sorts of dormant seeds into life, and only once in a while do all these factors align to create a perfect floral storm. Even without its wildflower splendor, Death Valley is a scenic wonder worth visiting. Wind-swept sand dunes, the salty crust of below sea-level elevations, and hills of reds, golds, and browns provide amazing geographic variety. But throw in a once-in-a-decade Superbloom and, well, let’s just say you’ve got to see it. Last weekend my boyfriend and I did just that. 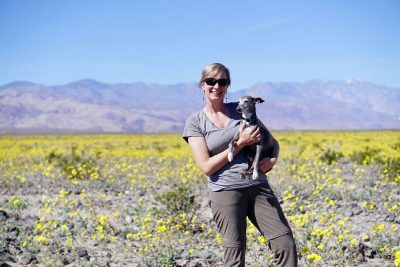 We took our dog and ventured into the desert to see what all the fuss was about. Most of the blooms were still in the lower elevations and at the Southern end of the park around the Owlshead and Black Mountains. The highlight was the fragrant fields of Desert Gold carpeting the desert floor off Warm Spring Canyon road (if you have four-wheel drive you can access some of these dirt roads where the blooms are the most intense). We also saw plenty of Evening Primrose, Ghost Flower, Verbena and Desert Five-Spot, popcorn flower (of course), and Encelia at higher elevations. 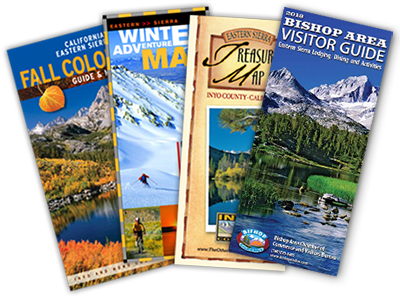 If you’re planning a trip, be sure to check this website for the latest on blooms. It will tell you where the best spots are and it seems to be updated every three to four days. A word to the wise: all this bloomin’ attention has drawn plenty of crowds. There are lots of cars and motorcycles on the roads and even more people in the stores, restaurants, etc. We were stopped for over an hour when an accident shut down the road in both directions. Drive safely. And be sure to stop and smell the flowers. 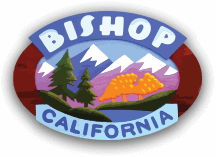 Michelle Pettit lives in Bishop, California and loves exploring the beauty and rural culture around her. When not out and about, she is busy renovating her home and writing about it in her Home DIY blog.